Welcome to the July 31, 2017 edition of ACM TechNews, providing timely information for IT professionals three times a week. IT University of Copenhagen in Denmark professor Carsten Schurmann successfully hacked a touchscreen voting system used in a 2014 U.S. election in less than two hours at the Defcon convention in Las Vegas, as part of the event's focus on proving the integrity of such machines is highly suspect. Schurmann's method involved connecting wirelessly with the machine and then exploiting a flaw in its Windows XP operating system to commandeer the device's administrative functions. Schurmann says he was able to rig voting results due to this hacking strategy, as well as remotely shut down the machine. Other participants at the Voting Machine Hacking Village were able to compromise the WinVote 2000 machine and access an electronic poll book for registering voters. Event co-organizer and election technology security expert Harri Hursti says the inability to audit touchscreen voting machines is a major weakness. Researchers at the Georgia Institute of Technology and the Chinese Academy of Sciences in Beijing say they have developed a pair of smart glasses equipped with a sensor that can pick up the motion of the wearer's skin when they blink. The researchers say the sensor, called a triboelectric generator, could be used to switch the lights on and off, or to help those with limited or no mobility to write messages on a computer. The sensor, which is made from multiple polymer layers with a coating of metal that acts as an electrode, is thin enough to fit on the arms of a pair of glasses. Each time the user blinks, the researchers say the motion of skin to the side of the eyes causes the polymer layers to touch and release, generating an electrical signal. The researchers plan to use the sensor on other parts of the body to study its potential for intelligent robotics applications. Researchers at University College London (UCL) in the U.K. have developed software that can accurately estimate the three-dimensional shapes of objects, captured through a single lens. They say their method provides state-of-the-art results and works with existing photos, enabling any camera to map the depth for every pixel it captures. "So far, we've optimized the software for images of residential areas, and it gives unparalleled depth mapping, even when objects are on the move," says UCL's Gabriel Brostow. 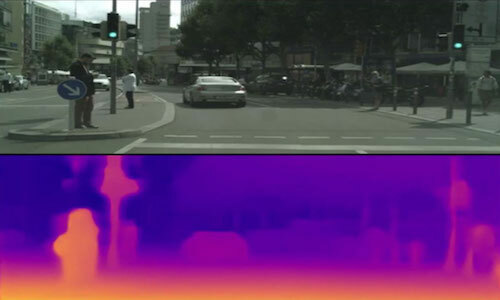 The researchers say the software was developed using machine-learning techniques and has been trained and tested in outdoor, urban environments. The team found the software can successfully estimate depths for thin structures such as street signs and poles, as well as people and cars. In addition, the system quickly predicts a dense depth map for each 512 by 256-pixel image, running at more than 25 frames a second. Researchers at Tsinghua University in Beijing, China have developed a user-interactive electronic skin with a color change perceptible to the human eye. The sensor performs this operation with a lower level of strain, which could have applications in robotics, prosthetics, and wearable technology. The researchers used flexible electronics made from graphene, in the form of a highly sensitive resistive strain sensor, combined with a stretchable organic electrochromic device. "To obtain good performance with a simple process and reduced cost, we designed a modulus-gradient structure to use graphene as both the highly sensitive strain-sensing element and the insensitive stretchable electrode of the ECD layer," says Tsinghua University's Tingting Yang. The mechanical property of the substrate was strongly relevant to the performance of the strain-sensing materials. "This is something that has previously been somewhat overlooked, but that we believe should be closely considered in future studies of the electromechanical behavior of certain functional materials," Yang says. Researchers at the University of California, Santa Barbara, Disney, and Pixar are working to incorporate artificial intelligence into a computer-based rendering system. Modern films and TV shows feature computer-generated sequences that are created by rendering systems that simulate the flow of light in a three-dimensional scene and convert the information into a two-dimensional image. However, this process is labor-intensive, time-consuming, and expensive. 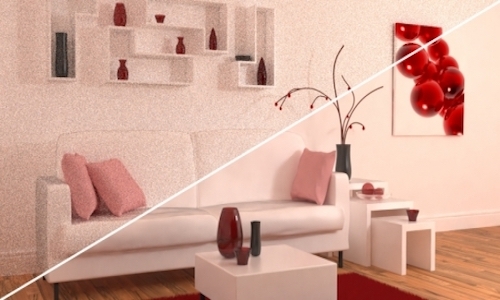 An alternative approach that renders the images using a few light rays saves time and labor but results in inaccuracies that show up as "noise" in the final image. The team developed a convolutional neural network that learned to transform noisy images into noise-free versions that resemble those computed with significantly more light rays. "By leveraging deep learning, this work presents an important step forward for removing undesirable artifacts from animated films," says Disney's Markus Gross. The researchers will present their findings at the ACM SIGGRAPH 2017 conference in Los Angeles. Researchers at the Massachusetts Institute of Technology (MIT) have engineered collections of extremely cold two-atom sodium-potassium molecules that can retain the data they house for one second--hundreds of times longer than previously achieved and an important step in the advancement toward quantum computing. MIT professor Martin Zwierlein says molecules are a much better storage medium than atoms for enabling communication and calculation by qubits. 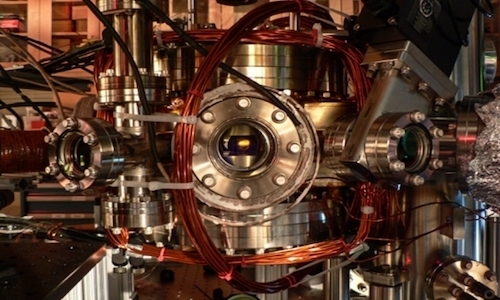 The team trapped several thousand molecules in a microscopic puff of gas at the intersection of two laser beams and chilled them to about 300 nanokelvins. The researchers finely controlled the molecules' rotation, vibration, and nuclear spin alignment, and Zwierlein says the molecule boasts high chemical stability. "[These] molecules are a system which may allow realizing both storage and processing of quantum information, using the very same physical system," says former MIT researcher Sebastian Will. Researchers at Disney have developed an authoring tool for motion cycles that enables novice video game designers to quickly create a motion cycle and enhances the workflow for expert animators. The software collects data from a computer mouse or a full-body motion-capture suit and automatically extracts the looping cycle, enabling users to edit the motion as desired. "With our software tool...high-quality motion cycles can be produced in a matter of minutes, making the process faster and more efficient for experts and non-experts alike," says Disney's Robert W. Sumner. The system includes an algorithm that can extract the motion cycle from a performance, a manipulation tool called MoCurves that facilitates editing of both the shape and timing a character's motion, and a means for controlling a character's contacts with the ground. The researchers presented the authoring tool on Friday at the ACM SIGGRAPH/Eurographics Symposium on Computer Animation (SCA 2017) conference in Los Angeles. Researchers at Northeastern University have developed a method for estimating how many Uber and Lyft vehicles are operating at a given time, a key piece of information for municipal planners to help them make decisions on budgeting for mass transit updates and understanding the traffic impact on their jurisdictions. The researchers conducted a study of the density of Uber and Lyft vehicles in San Francisco, including network measurement, networking, and security and privacy. The team created a program that can determine the volume of drivers in the city, using data available on the Uber and Lyft smartphone apps to create a broader map of the city. 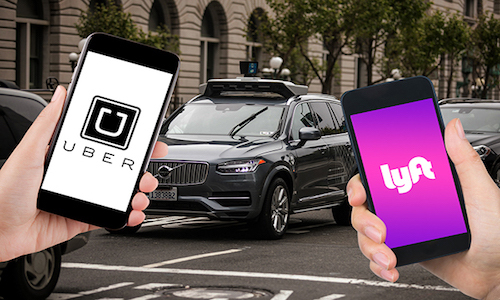 The researchers found that on a typical weekday in San Francisco, Uber and Lyft operate more than 5,700 vehicles, which make more than 170,000 trips within the city. In addition, from Monday to Friday, these vehicles travel about 570,000 miles within the city, accounting for 20 percent of local daily traffic. Researchers at the University of Alberta (UAlberta) in Canada say they have discovered a key step in unlocking the potential for greener, faster, smaller electronic circuitry. 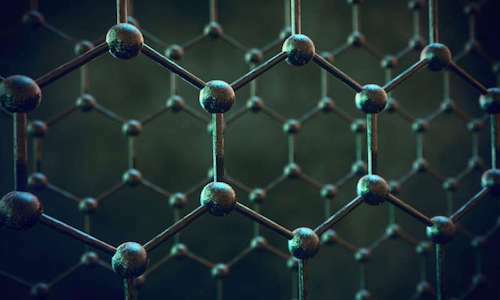 The researchers found a way to delete and replace out-of-place atoms that had been preventing new circuitry designs from working, a breakthrough that could result in a new kind of silicon chip for use in common electronic devices. "Now that we have the ability to make corrections, we can ensure perfect patterns, and that makes the circuits work," says UAlberta researcher Robert Wolkow. The new method enables developers to precisely erase any errors in an atom and reprint them in the correct place. In addition, the researchers discovered methods and materials to ensure stability at room temperatures. The new method involves a procedure for picking up single hydrogen atoms with an atomically sharp probe and replacing one or more hydrogen atoms to erase atomic misprints. Scientists at OpenAI have begun to use a new reinforcement learning algorithm called Proximal Policy Optimization (PPO) for training artificial intelligence (AI) models. PPO has been found to boost ease of use and yield improved performance. "We propose a new family of policy gradient methods for reinforcement learning, which alternate between sampling data through interaction with the environment, and optimizing a 'surrogate' objective function using stochastic gradient ascent," the researchers note. OpenAI proposes relying on PPO to enhance AI's learning capacity and adaptability by achieving "a balance between ease of implementation, sample complexity, and ease of tuning, trying to compute an update at each step that minimizes the cost function while ensuring the deviation from the previous policy is relatively small." The researchers demonstrated PPO's functionality by developing artificial agents in their Roboschool environment. The team also thinks PPO-based reinforcement learning could be used to train robots to adapt to their surroundings. Researchers at Stanford University have developed techniques to help virtual reality users find their way in confusing artificial environments by using standard Wi-Fi solutions, which also could be applied to robot/drone tracking and motion capture for films. The team's WiCapture system features a standard Wi-Fi chip and multiple Wi-Fi access point transmitters. The researchers say they have bypassed the problem of imperfect synchronization between chips and transmitters via an algorithm that analyzes signals from two different paths, identified by triangulating among the transmitter's antennas. The algorithm can compare their relative change in clock asynchrony as the chip moves, while disregarding the drift of the clocks' timing. The researchers say the use of two or more transmitters in combination enables the algorithm to use triangulation to track two-dimensional motion. Tests conducted under various conditions found WiCapture could track chip position and movement with an average error of less than 1 centimeter. July 27, 2017; et al. 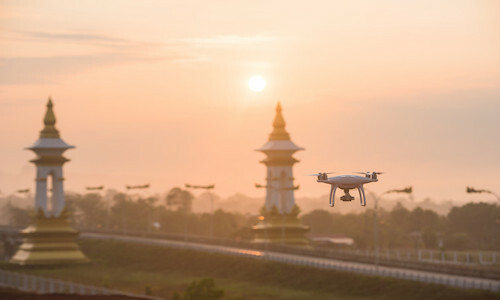 Researchers at the University of Leicester in the U.K. offer five speculative technological advances that could shape the future, including smart home technologies that use data and online connectivity to act on the user's behalf. However, their ubiquity will rely on continuous, ensured security. A second innovation with promise are virtual secretaries that can perform day-to-day planning for businesses by harnessing contextual data--although issues of privacy invasion may need to be addressed. Also showing potential are artificially intelligent healthcare providers that outperform physicians and nurses in diagnostic and other tasks. The technology could be especially beneficial in countries where medical staff is in short supply. Self-driving vehicles could find favor due to their reliance on multiple sensors to enhance vehicle-to-vehicle communications and congestion/collision avoidance, with delivery companies particularly poised to benefit. A fifth significant innovation could be robot caregivers in senior communities and elsewhere, via advances in voice and face recognition, and routing algorithms.